Navigation, Moonroof, Third Row Seat, Heated Seats, Full-Time 4MATIC® All-Wheel Drive, Power Liftgate, WHEELS: 18 TWIN 5-SPOKE, Turbo Charged. Polar White exterior and Macchiato Beige/ Espresso Brown MB-Tex interior, E 450 trim. CLICK NOW! KEY FEATURES INCLUDE Third Row Seat, Navigation, Power Liftgate Rear Spoiler, MP3 Player, Full-Time 4MATIC® All-Wheel Drive, Onboard Communications System, Steering Wheel Controls, Child Safety Locks, Electronic Stability Control. OPTION PACKAGES PREMIUM PACKAGE KEYLESS GO® Comfort Package, KEYLESS GO®, Hands-Free Access, Blind Spot Assist, Heated Front Seats, SiriusXM Radio, 6-month All Access plan trial, Inductive Wireless Charging w/NFC Pairing, Burmester Surround Sound System, PARKING ASSISTANCE PACKAGE Parking Assist Code, PANORAMA SUNROOF, EXTERIOR LIGHTING PACKAGE Lighting Package Code, Adaptive Highbeam Assist, LED Intelligent Light System, WHEELS: 18 TWIN 5-SPOKE, HEATED STEERING WHEEL. Mercedes-Benz E 450 with Polar White exterior and Macchiato Beige/ Espresso Brown MB-Tex interior features a V6 Cylinder Engine with 362 HP at 5500 RPM*. 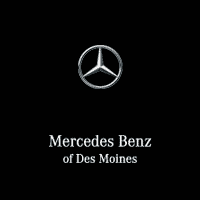 BUY FROM AN AWARD WINNING DEALER We are Mercedes-Benz of Des Moines. Lower market price for above market value. We ship and register in all 50 states and Canada. Plus tax, title, license and $179 dealer documentary service fee. See dealer for details.Navigation, Moonroof, Third Row Seat, Heated Seats, Full-Time 4MATIC® All-Wheel Drive, Power Liftgate, WHEELS: 18 TWIN 5-SPOKE, Turbo Charged. Polar White exterior and Macchiato Beige/ Espresso Brown MB-Tex interior, E 450 trim. CLICK NOW! Third Row Seat, Navigation, Power Liftgate Rear Spoiler, MP3 Player, Full-Time 4MATIC® All-Wheel Drive, Onboard Communications System, Steering Wheel Controls, Child Safety Locks, Electronic Stability Control. PREMIUM PACKAGE KEYLESS GO® Comfort Package, KEYLESS GO®, Hands-Free Access, Blind Spot Assist, Heated Front Seats, SiriusXM Radio, 6-month All Access plan trial, Inductive Wireless Charging w/NFC Pairing, Burmester Surround Sound System, PARKING ASSISTANCE PACKAGE Parking Assist Code, PANORAMA SUNROOF, EXTERIOR LIGHTING PACKAGE Lighting Package Code, Adaptive Highbeam Assist, LED Intelligent Light System, WHEELS: 18 TWIN 5-SPOKE, HEATED STEERING WHEEL. Mercedes-Benz E 450 with Polar White exterior and Macchiato Beige/ Espresso Brown MB-Tex interior features a V6 Cylinder Engine with 362 HP at 5500 RPM*.